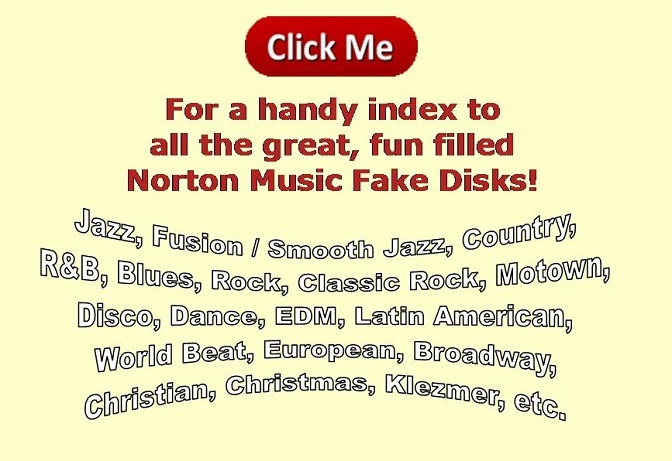 Finally, Latin Fake disk from Norton Music. This disk (and optional book) features over 500 Latin songs in many styles, including mambos, sambas, cha cha chas, bossa novas, boleros, guarachas, rhumbas, tangos, salsa, Latin jazz, Latin pop and rock, and traditional Latin Standards. If you like Musica Latina, you will love this disk/book. If You Like Musica Latina, You Will Love This Book! • Buche Y Pluma 'N' "Ma"
• Que Sera De Mi? • Y Tu, Que Has Hecho?